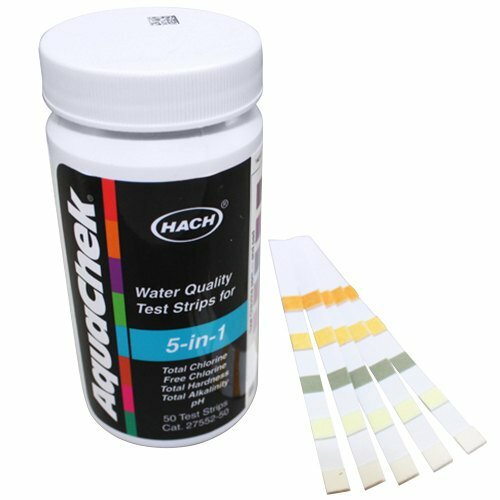 This All Points 85-1255 water test strip kit tests for 5 different water conditions in just a minute! Simply dip and read! You'll be able to see total chlorine (0-10 PPM), free chlorine (0-10 PPM), total hardness (0-425 PPM or 0-25 grains per gallon), total alkalinity (0-240 PPM as CaCO3), and pH (6.4-8.8).